Methods in Enzymology volumes provide an indispensable tool for the researcher. Each volume is carefully written and edited by experts to contain state-of-the-art reviews and step-by-step protocols. 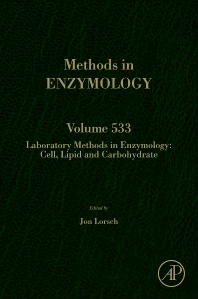 In this volume, we have brought together a number of core protocols concentrating on Cell, Lipid and Carbohydrate, complementing the traditional content that is found in past, present and future Methods in Enzymology volumes.